Born in Korea shortly before World War II Pak witnessed Japanese colonial rule, Korea’s liberation from Japan in 1945, its division during subsequent U.S. and Soviet occupation, and the trauma of the Korean War in his early childhood and adolescent years. After receiving his law degree from Seoul National University in 1961 he worked as a reporter for the English dailies The Korean Republic and The Korea Times. In 1965, he emigrated to the United States. 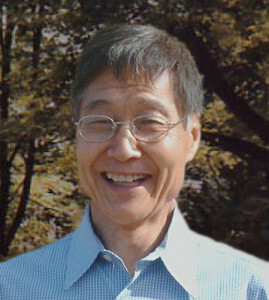 After earning his Ph.D. in English from Bowling Green State University, Ohio, in 1969 he taught in the English Department at the University of Hawaii from 1970 to 1987. His first collection of short stories, Guilt Payment (1983), has been widely adopted as textbook at many US colleges. His other books include Moonbay (1999), Cry Korea Cry (1999), A Korean Decameron (1961, to be reissued 2014), and The Polyglot (2014). Currently he writes a blog, typakmusings.com, followed by a wide spectrum of readers who find intellectually stimulating and entertaining his unique point of view and satire on politics, economy, and life in general, especially as races and cultures interface in America and worldwide. Married with three children, he lives in Honolulu, Hawaii. “Guilt Payment,” Pow Wow (2009, Da Capo Press), 319-329. “Exile,” Honolulu Stories (2008, Mutual Publishing), 489-497. “The Water Tower,” Kori (2001, Beacon Press), 186-208. “The Court Interpreter,” LA Shorts (2000, Heyday Books), 239-257. “A Fire,” Asian Pacific Literature (1981, State of Hawaii Department of Education), 443-450.